Getting involved with youth camps is as easy as 1...2...3! Ready to get involved in youth camps? 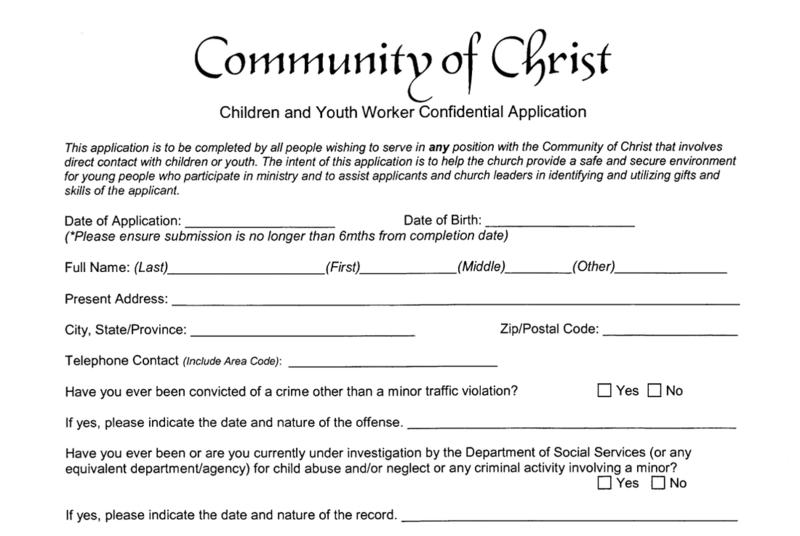 First, click the form on the right, print, complete, and return to your pastor. Community of Christ takes the safety of every child very seriously. Tell us how you'd like to get involved. Pending approval, you will be contacted by an Oklahoma Mission Center official. ​Questions? Fill out the form on the right to learn more!